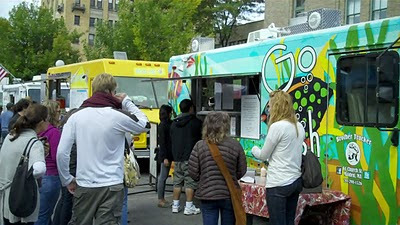 One of the cool things about the SoWa Open Market is the plethora of food trucks on hand every Sunday. 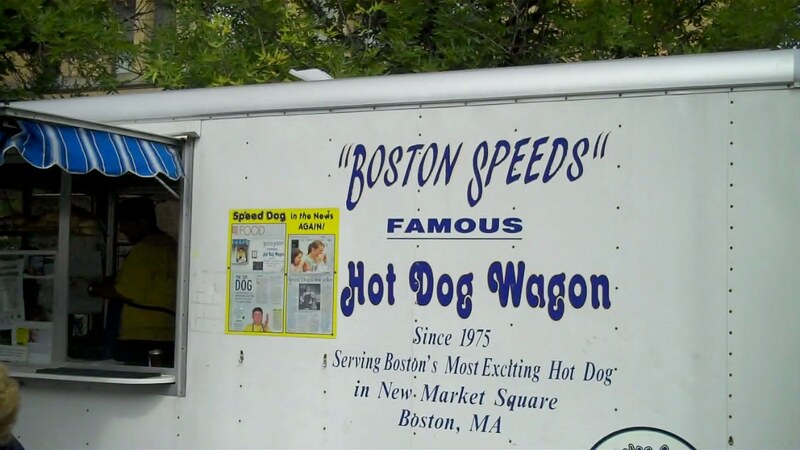 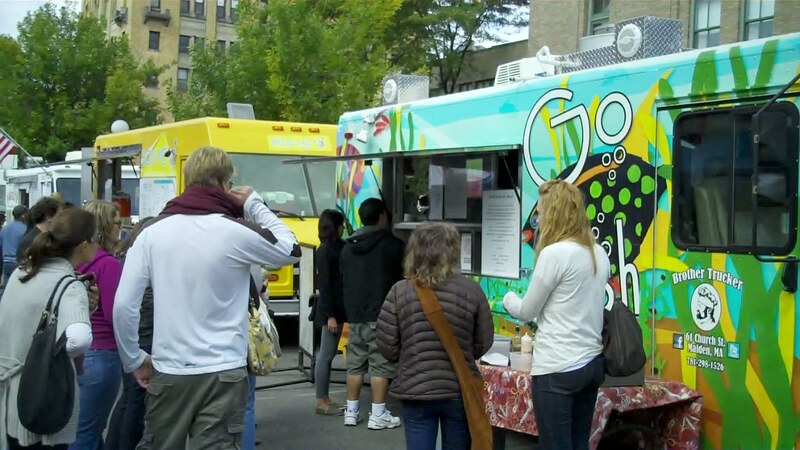 The finest food trucks in Boston are on hand every week- there's something for everyone! 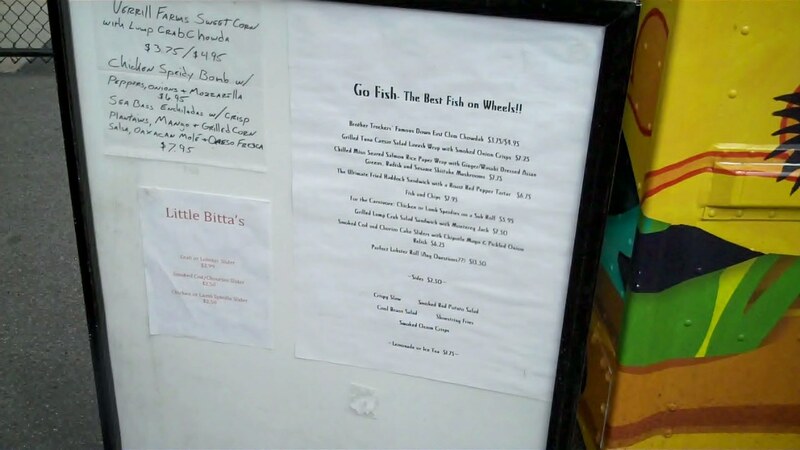 The Go Fish Truck satisfies seafood lovers. 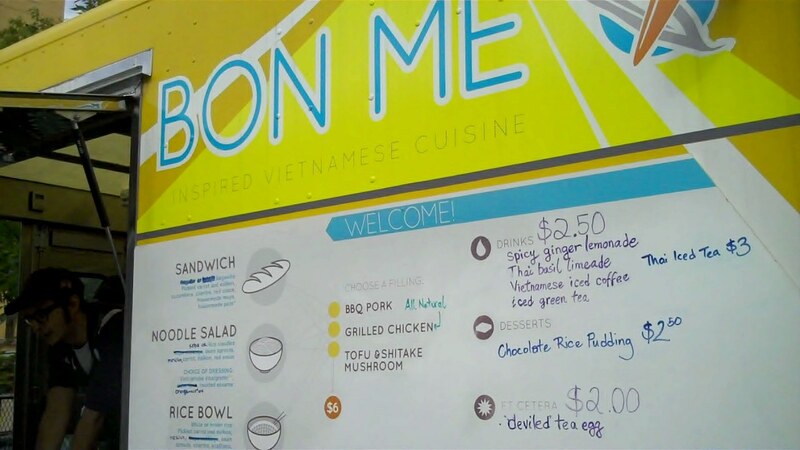 The Bon Me Truck offers unique Vietnamese cuisine. The Clover Food Truck serves up simple, healthy fare. 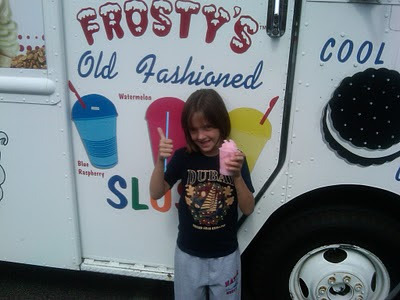 Little Miss' favorite, The Original Boston Frosty was on hand too. 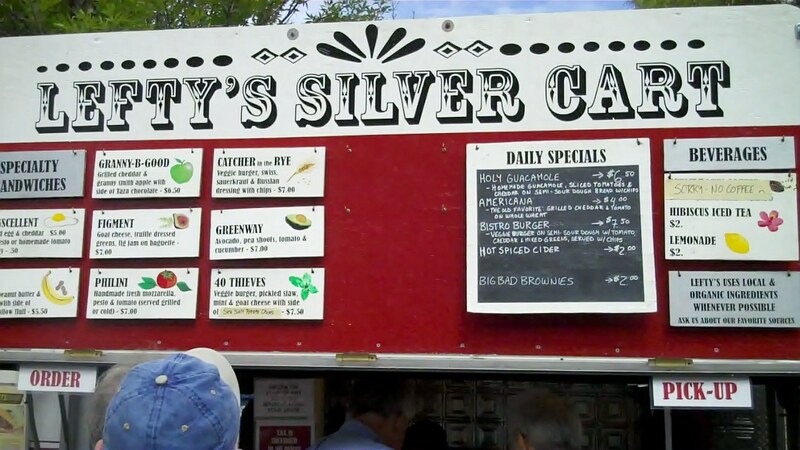 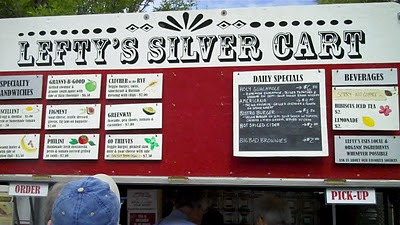 Lefty's Silver Cart offers an outrageous grilled peanut butter and banana sandwich with a side of marshmallow fluff! 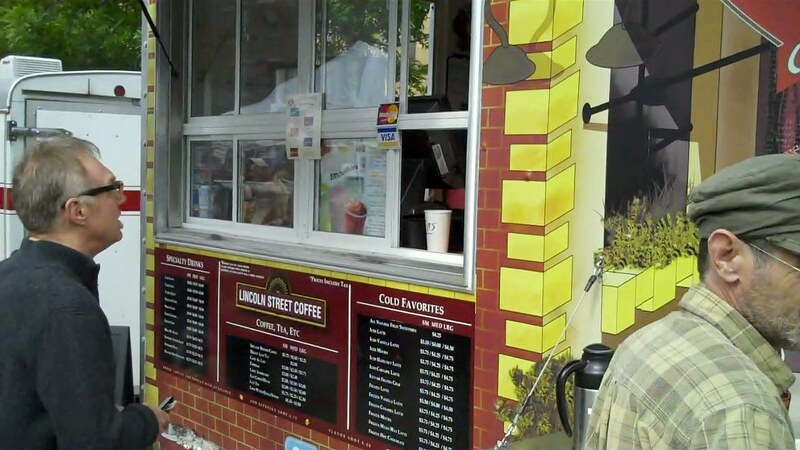 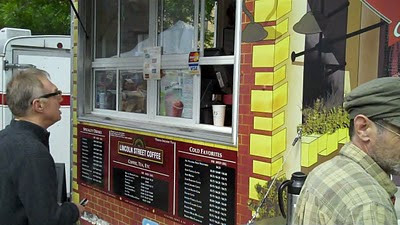 The Lincoln Street Coffee Truck will satisfy the need for caffeine. 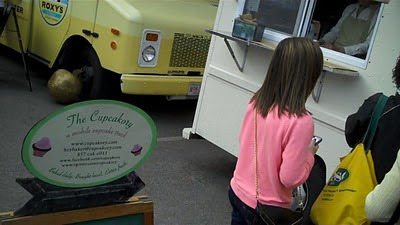 The Cupcakery Truck serves mobile cupcakes. Roxy's Gourmet Grilled Cheese caught our eye- they serve grilled cheese and Mrs. HDM's favorite: POUTINE! 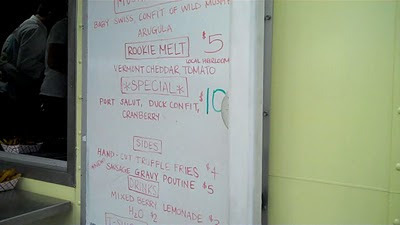 We shot a video featuring Roxy's- more on them later too. I plan to return to the SoWa Open Market to do some Christmas shopping. 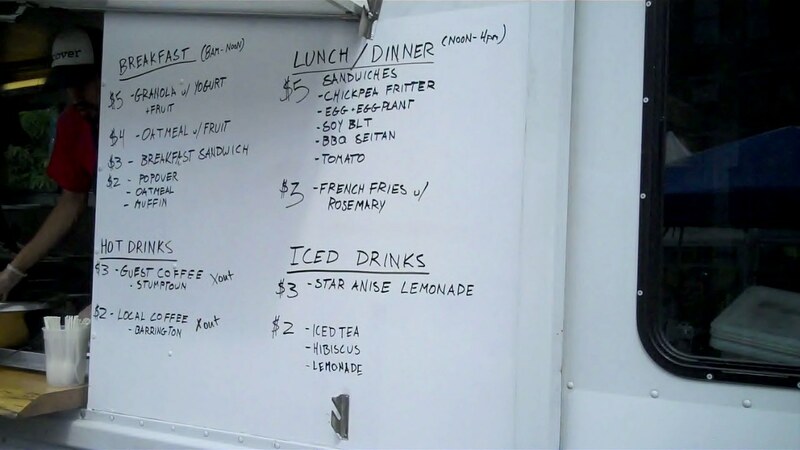 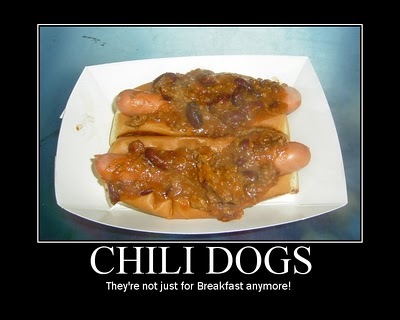 I will probably sample the food too- there's lots of good stuff.